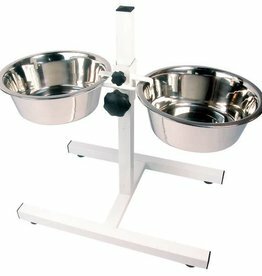 Adjustable wire double dog bowls, twin plastic and double dish high feeders. 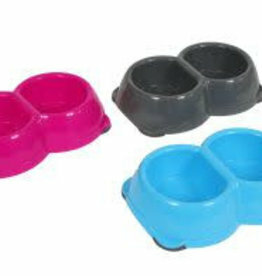 This durable plastic diner features 2 side-by-side bowls which makes it ideal for feeding two dogs at the same time or giving your dog their food and water together. 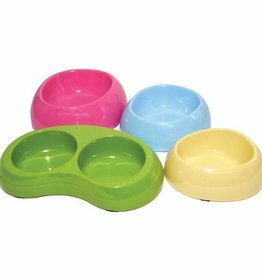 Animal Instinct Plastic Twin Dog Bowl. 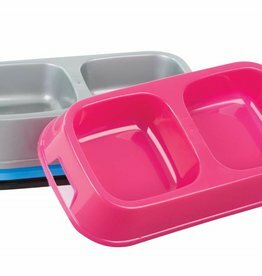 2 x 280ml bowls. 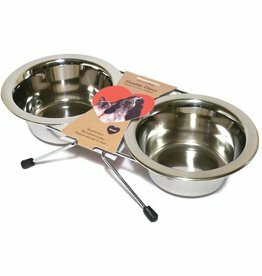 Suitable for toy or small breeds of dog.